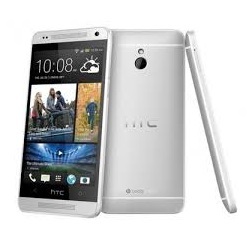 How to unlock HTC One by code ? Unlocking HTC One by code is the easiest and fastest way to make your device network free. It doesn't interfere in your system or change it in any way so even after using our code, you don't loose your warranty. In order to receive a network unlock code for your HTC One you need to provide IMEI number (15 digits unique number). It can be found by dialing *#06# as a phone number, as well as by checking in the phone settings of your device. Please make sure that your HTC One asks for an unlock code, when you insert a simcard from a different network. We are also proud to announce that the unlock for your HTC One code will be delivered in 15 minutes, or even less. All new HTC One coming from T-Mobile USA or Metro Pcs USA with "Device Unlock App" can be unlocked by a Device Unlock App service. Unlocking instruction for HTC One ? 1. Start the device with an different simcard inserted (simcard from a different network than the one that works in your HTC One). Please copy all important data from your HTC One before you try a factory reset, because they will get deleted in the process. Can you unlock htc One for free? You can find many free HTC code generatores for your HTC One on the web. Code for HTC One is based on the IMEI number. All done within 7 minutes . Fantastic guys. Worked within 10 minutes, no issues at all. Would highly recommend. Brilliant. Got the code as soon as I paid and unlocked straight away. And half the price of other sites. Works like charm. No hickups. Just order for the Unlock Key. Get a mail in 10 mins. That's it. Competitive price. Great service.In 5 minute and it's working.Thank you. Absolutely brilliant..took two minutes on line and the code came through five mins later..sorted..and at very little cost..thanks.. highly recommend..Jim. Faultless service. Selected the phone I wanted to unlock, paid the seemingly reasonable fee with PayPal and had the code within minutes. Great fast service and great price. Amazing. Great value and unlocked my phone in under 5 minutes. No hassle. Everything perfect, get Code after 10 minutes. Super, funguje. Reset telefonu nebyl nutný. Super Fast, Reliable, the best service ever ) Seriously Christmas life Saver. Worked a treat and super quick service, to be recommended. Reliable, Efficient and fast service. Thank You.